Housewares: How do we captivate Gen Y? 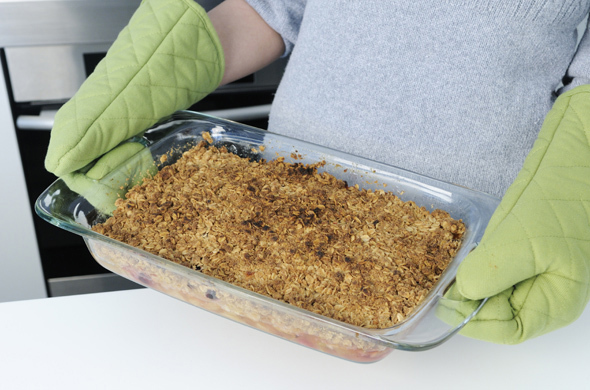 Pyrex Next Generation Glass Bakeware. “Heck, it’s just prettier,” says the New York Times. Women today ask a lot of their bakeware. They want efficiency for harried weekdays, yet casual and elegant aesthetics worthy of special meals and weekend entertaining. When Pyrex asked us to redesign their signature glass line for the next generation, we knew we had to design for how cooks really eat and live today. The line we designed has everything the busy cook needs. A new cutout handle makes passing the potatoes easier. A stronger grip makes the glass pieces drop-proof in the kitchen and less slippery in the sink, even with soapy, wet hands. On top of that, a versatile collection of shapes and lids can take the same piece of bakeware from prep to cook and serve to store. Speaking of storage, the new line keeps things neat by stacking well in crowded cupboards. Beyond baking well, the line doesn’t shy from tradition. It timeless design fits into any décor and is made to last, from generation to generation, mother to daughter.